3-D sod is comprised of 100% Kentucky bluegrass. As you know, there are hundreds of varieties of Kentucky bluegrass to choose from. To help select the variety that’s best for our local conditions, we use data collected from National Turf-grass Evaluation, a program that evaluates different types of grass at locations across North America. 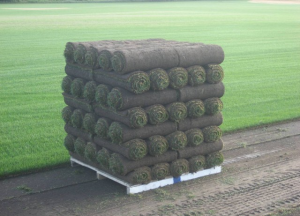 The varieties that we’ve picked for our 3-D Sod are in the top 25% of that evaluation. The seed costs more to buy and requires a specialized knowledge to nurture but its well worth the results since it gives our customers distinct quality advantages over the other types of sod available. We also support and use data compiled by the Guelph Turfgrass Institute (GTI), which is affiliated with the University of Guelph.